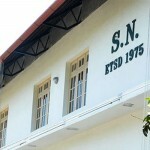 The Hotel Fort Munnar is a 4-star modern luxury boutique hotel, conceived under the concept of eco-friendly holidaying. If offers the breathtaking views and panoramic scenery with an all absorbing overview of the vast stretches of tea and cardamom plantations. The luxury hotel Fort Munnar with its colonial architectural styles, blends with nature, surrounded by enormous trees, enchanting hills and thick green foliage. The hotel Fort Munnar has 26 deluxe rooms and 3 suites with well appointed rooms with cozy interiors and all modern amenities. 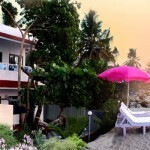 It offers the premium accommodation options in two types of rooms and two types of suites. The Lakeview rooms overlook the Anayirangal Lake and give the guest a panoramic view of the lake, the tea plantations and the misty mountains. Room Amenities: Room amenities include King size bed, big Wardrobe, Wooden flooring, color Television, Mini bar, balcony, Tea/coffee maker and Room heater, luxurious attached bathrooms with bathtubs and running hot and cold water. Facilities: Business Centre, Fitness Centre, 24-hour front desk, Free Parking, Kids Activities, Restaurant, Room Service, Suites, Coffee shop, Nightclub Scream Discotheque, Tours/ticket assistance, Conference Hall. 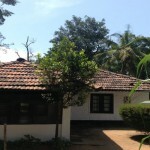 Recreational Facilities: Playground on site, Table tennis on site, Green Leaves Ayurveda, Gymnasium Room, Children’s Park. 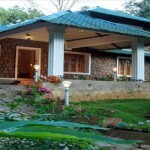 Adventure Facilities: Soft Trekking, Rock climbing, Camping and Lake Safari. 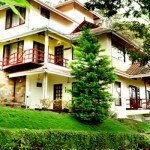 Dining in Hotel Fort Munnar: The Munnar Fort Resort has its in-house Multi cuisine restaurant serving savory Indian, Chinese and Continental food. 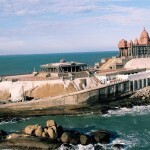 A range of choices including Kerala food at its best. 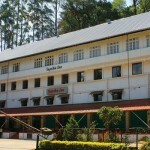 The Fort Munnar Hotel is situated in a rural location, close to Mathikettan Shola National Park and about 10 km from Anayirangal Lake. 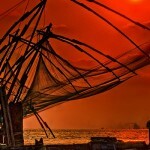 It is near about 135 km from Ernakulam Railway Station and 150 km from Cochin International Airport. 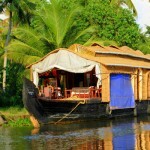 Nearby tourist attractions to visit from Hotel Munnar Fort : Rajmalai (15 km), Eravikulam National Park (15 km), Devikulam(7 km), Mattupetty Dam(13 km), Kundalay Dam(20 km) and Chinnar wildlife sanctuary (60 km).